2020 dates: May 29-5 June and August 17-24. 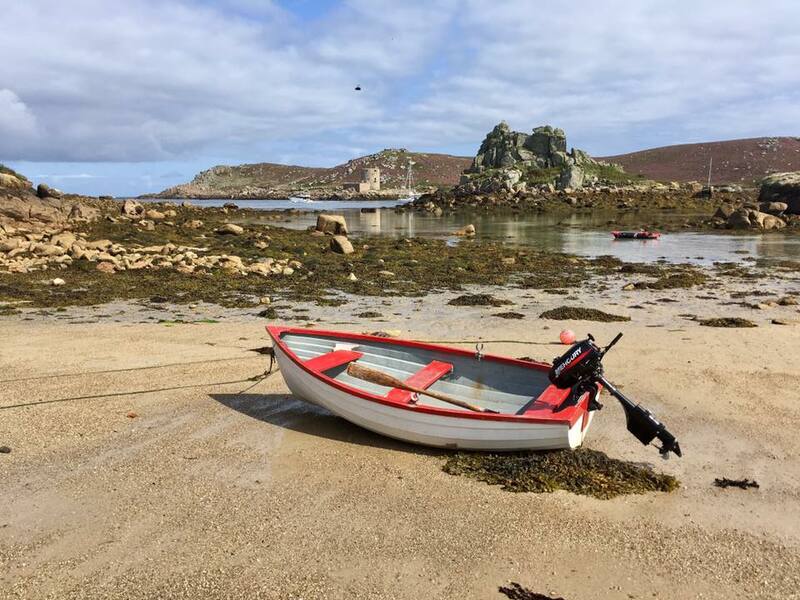 Our enchanting guided walking holidays exploring the Isles of Scilly are quite unique. 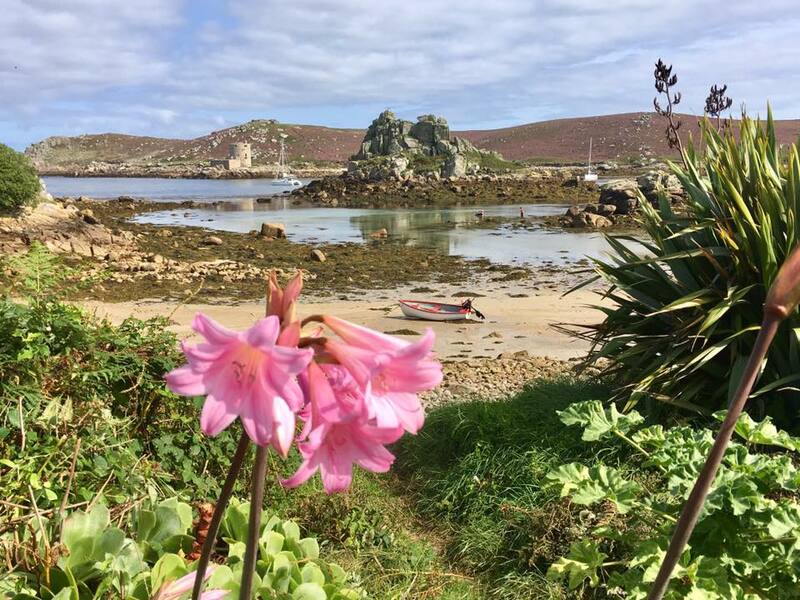 Here, you can enjoy some of the finest coastal walking in the world, all on a magical archipelago of beautiful small islands with white sand beaches and sub tropical vegetation, which are located just 28 miles off-shore from Lands End, in England’s West Cornwall. 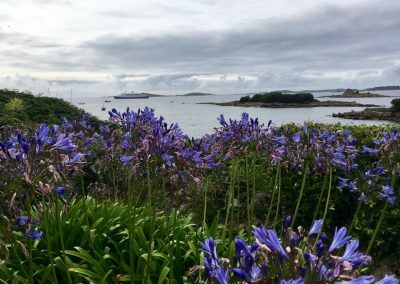 Ray Mears said: “I’m delighted to be working with the Isles of Scilly Steamship Group to promote and support this very special UK destination. 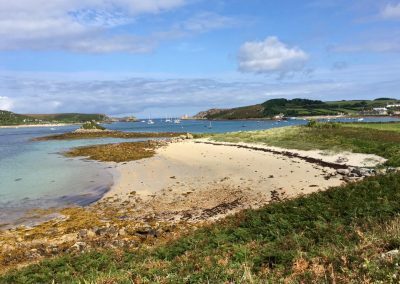 I’m lucky because my life is about nature, so I don’t feel the frenetic pace of life that many other people do, but for people who are caught up in technology and busy lifestyles, the Isles of Scilly is a perfect panacea. 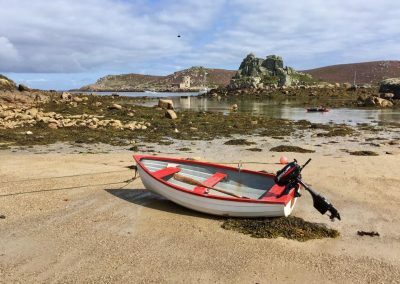 “Scilly is one of those places which just makes you feel good; there are old-fashioned values on the islands that we’ve forgotten – people have time for each other, and it’s a simpler way of life. Everyone is very friendly and it’s lovely as a visitor to be welcomed into that community while you’re there. The islands have many award winning restaurants and pubs. There is a fabulous choice of freshly caught sea food, locally produced meats, hand made artisan bread, locally grown vegetables and an amazing selection of wines from some of the finest vineyards in the world. 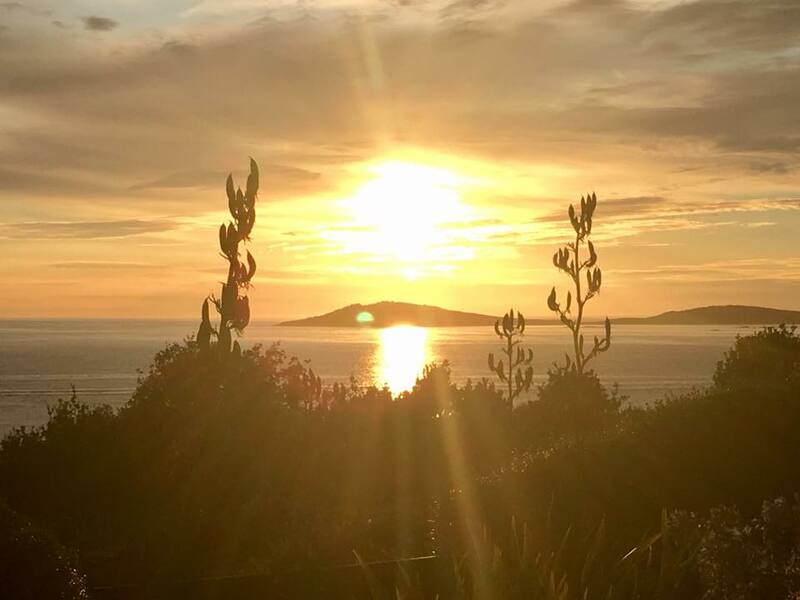 We look forward to sharing the joyful experience of a superbly cooked evening meal and a glass of wine with you after a day of walking, immersed in peace and beauty! 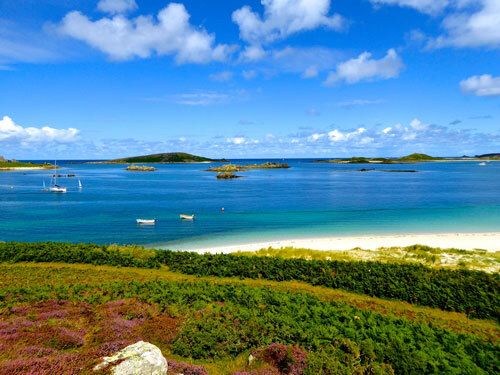 An Outstanding Area of Natural Beauty, The Scilly Isles are an exquisite group of about 100 granite islets, many un-inhabited – but some five having permanent populations. 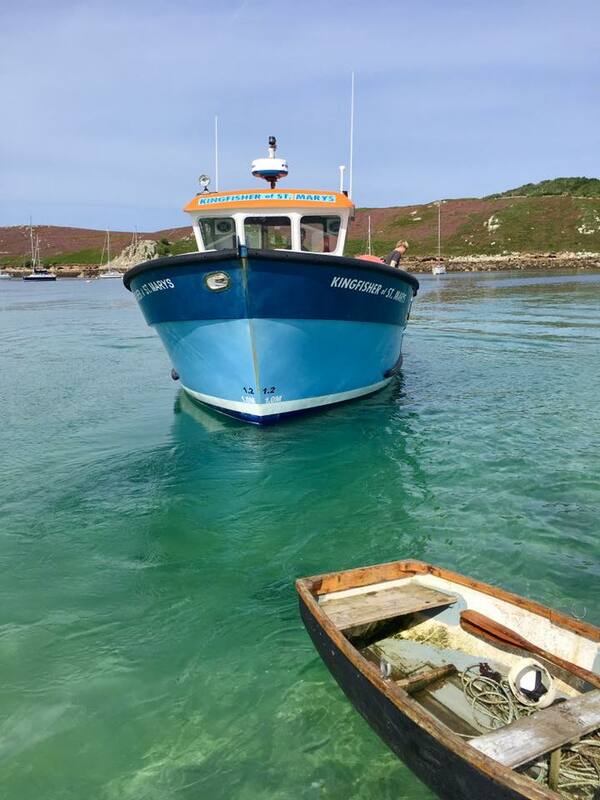 We shall stay on St Mary’s and we will use the wonderful passenger launches to access a different island each day. The total permanent population of all the islands is roughly 2,500. 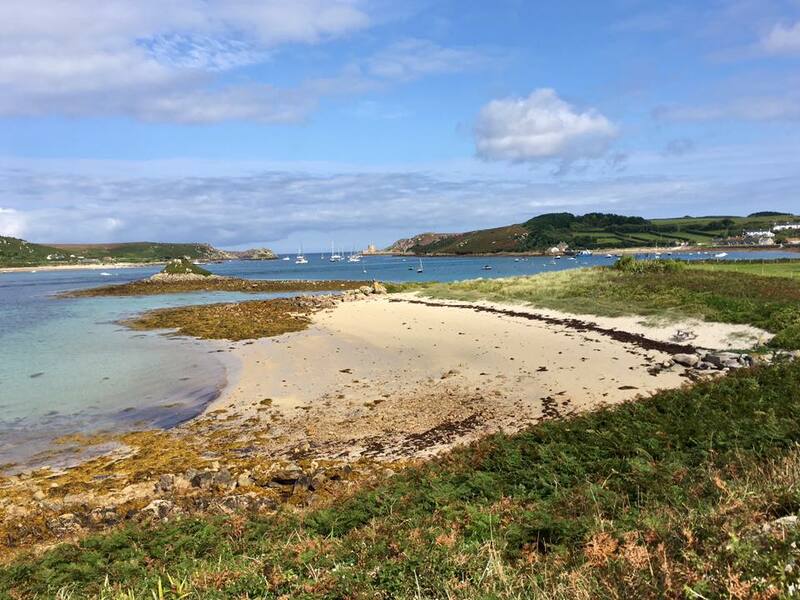 On this holiday, we’ll walk on St Mary’s, St Agnes, Bryher, Tresco, St Martins and perhaps the un-inhabited island of Samson. These islands are composed entirely of 300 million year old granite – the highest point being only 187 feet above sea level. However, there are still many spectacular granite headlands with cliffs some 100 fee t high. On most of the islands, there are numerous white sand beaches and incredibly eroded granite outcrops – with a face on every one! 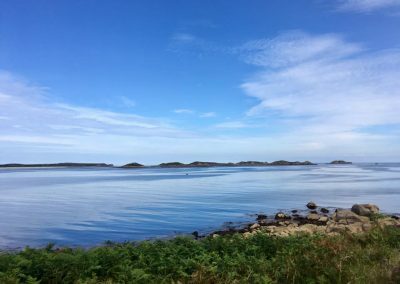 The islands are home to a large number of prehistoric monuments: in particular, chambered burial tombs dating from the late Neolithic and early Bronze Age. Western Maritime Heath is profuse here in August (a dense mix of colourful heathers and western short gorse). 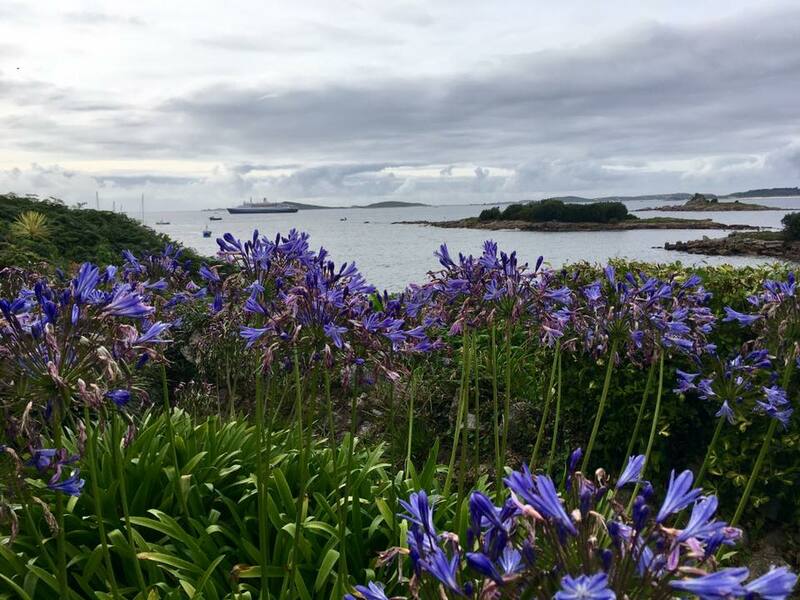 The islands have a wonderful almost sub-tropical flora, being bathed by the Gulf Stream, which keeps them mild the whole year round. 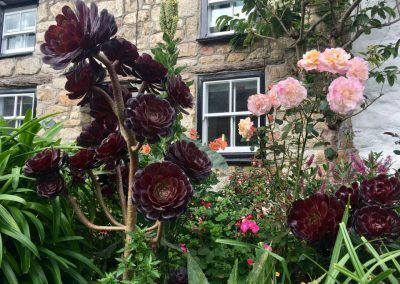 They are also famous for their early spring flowers – particularly narcissi and other daffodils, geraniums – and later, great swathes of sea pinks and sea campions and beautiful succulents such as mesembryanthemum and Hottentot fig. 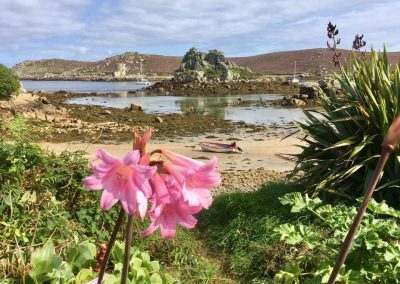 In late summer, bell and ling heathers abound and glorious blue and white agapanthus and pink and white belladonna lilies are everywhere to be seen. Created by Augustas Smith in the 1800’s, the ‘Tresco Abbey Gardens’ have many exotic rare plants and are truly sub-tropical in nature. 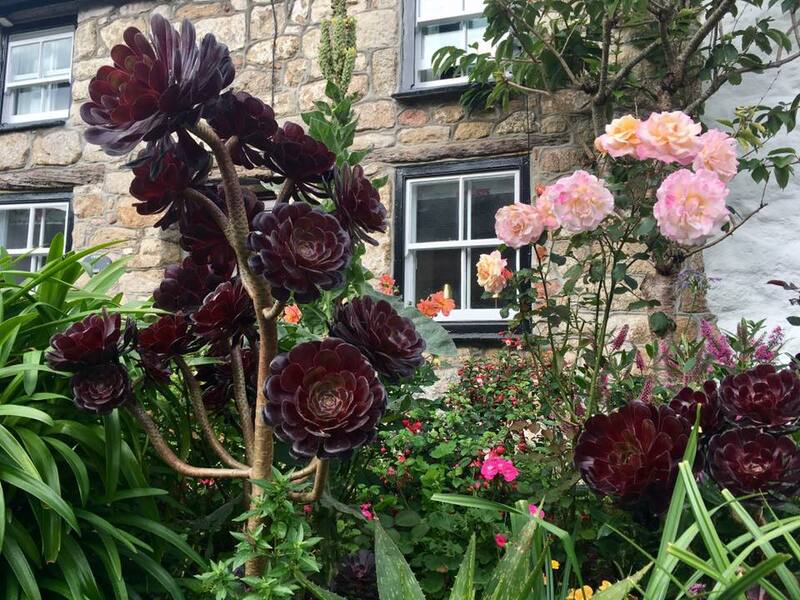 People come from all over the world to visit these unique gardens – and you will have an opportunity to do so too. The wildlife is very varied, with seals, puffins, guillemots, razorbills, shags, cormorants and many other species. 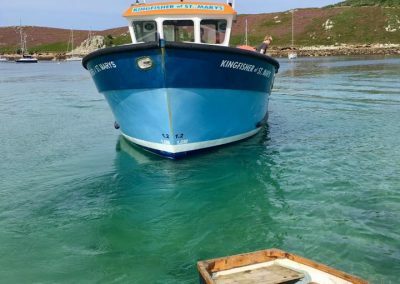 There are numerous boat trips we can take to view the wildlife and the spectacular scenery. The waters are exceptionally clear and turquoise in colour, with fantastic seaweeds in abundance. We could even spot a turtle, dolphins, sharks or whales. Of all the beautiful qualities that these islands possess, the unique light is probably the one that is most commented on. The sea is usually an incredible turquoise colour and very clear. 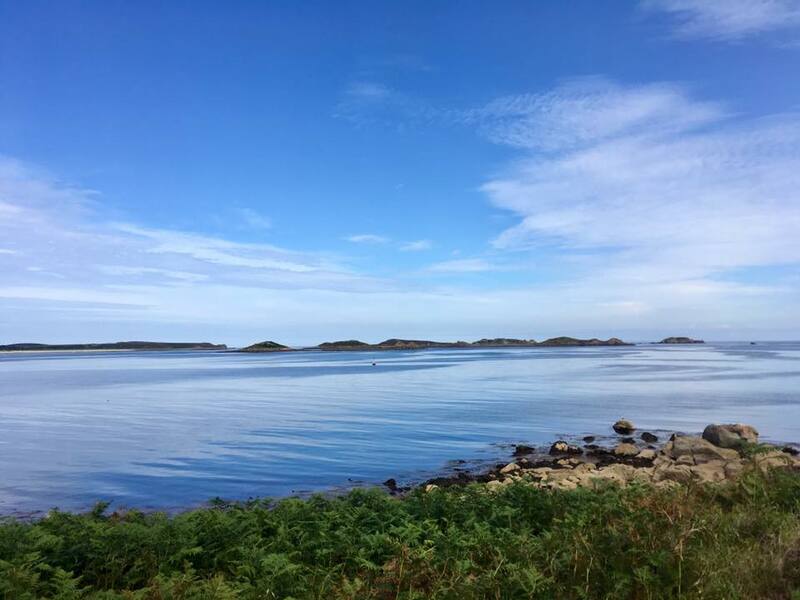 The boat trips to and from the outer islands are a wonderful treat in themselves. There is an ancient legend in Cornwall that there once existed an advanced culture on those islands, then called Lyoness, which was destroyed in a great cataclysmic inundation back in the dark ages. There is some geological evidence that this may in fact have occurred. 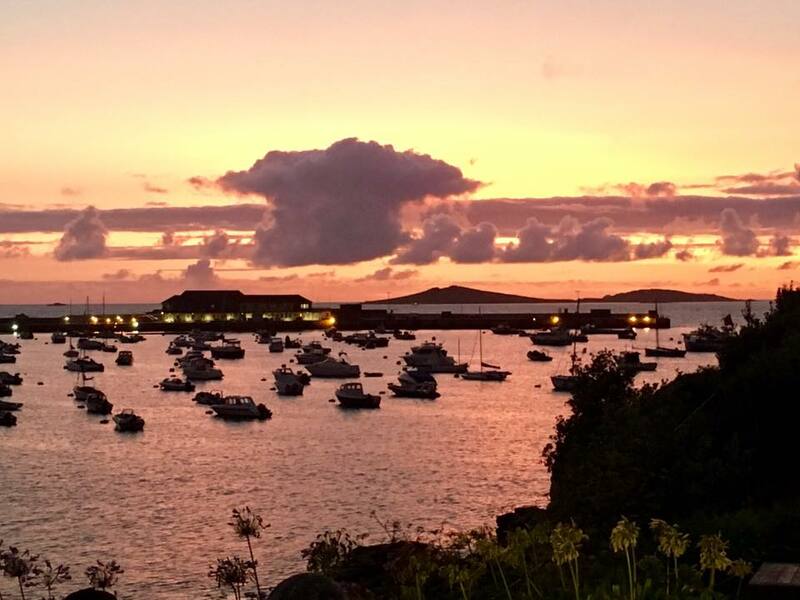 The island’s history is long and convoluted – having been the home of several famous personages over historical time – if even just for a brief time. For example, the future King Charles II came here to try and escape from Oliver Cromwell during the English Civil War. After Cromwell had murdered his brother Charles I, he did eventually return to England and became King… but that’s a long story! 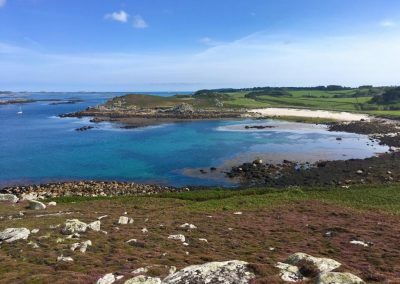 Price for the eight day/seven night Scilly Island guided walking holiday in 2019 is GBP £1,485 (£1,385 for the 6 night June holiday). Apart from doubles and twins, there are 4 small single rooms available with no single supplement, so we strongly suggest you book early to reserve your spot, especially if you require a single room. 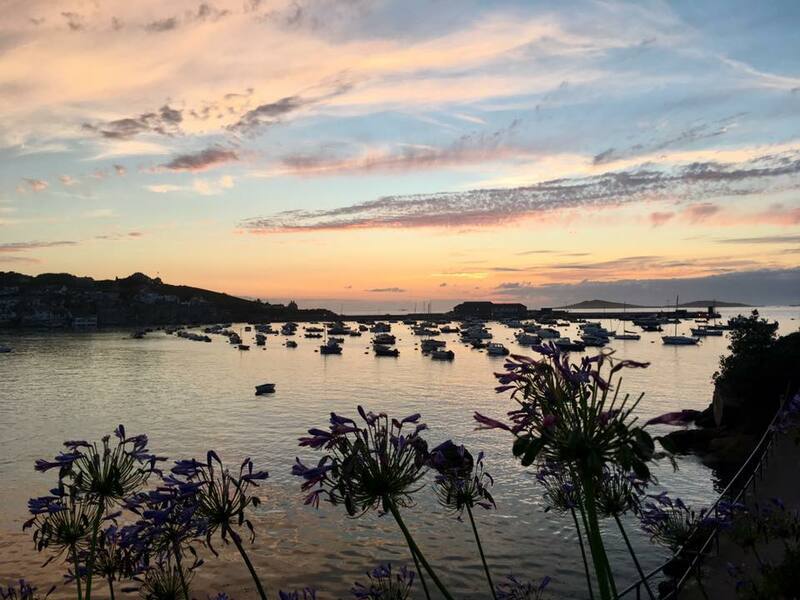 The holiday includes fine accommodation in a wonderful guest house directly overlooking the sea – with great full cooked English breakfasts, superb 3 course evening meals (with house wines and beers) in a variety of good local restaurants and in the guesthouse itself. Also included are 4 return boat rides to the outer islands and full guidance on each of the days. 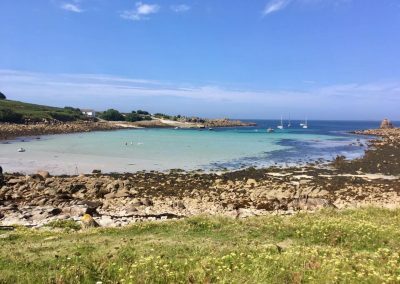 With your journey by ferry, helicopter or plane, you will find that apart from the five to six days of guided explorations, you will also have one whole free day and two part free days (the arrival and departure days) to ‘do your own thing’ – something everyone likes to do, once they have discovered their own little paradise. 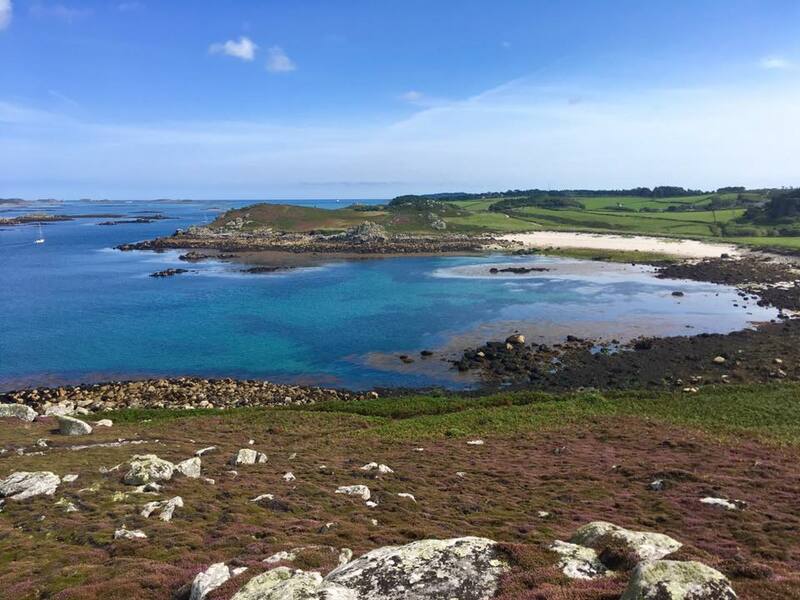 To view photos from previous Scilly Isles guided walking holidays please go to our Facebook page. 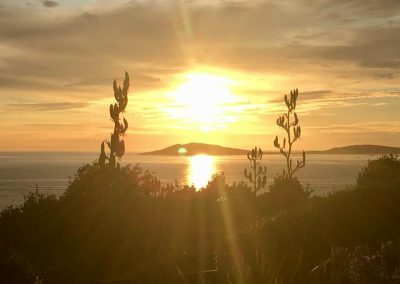 Sit back, switch to full screen, have a cuppa and enjoy a lovely ‘time-lapse’ film of the islands. 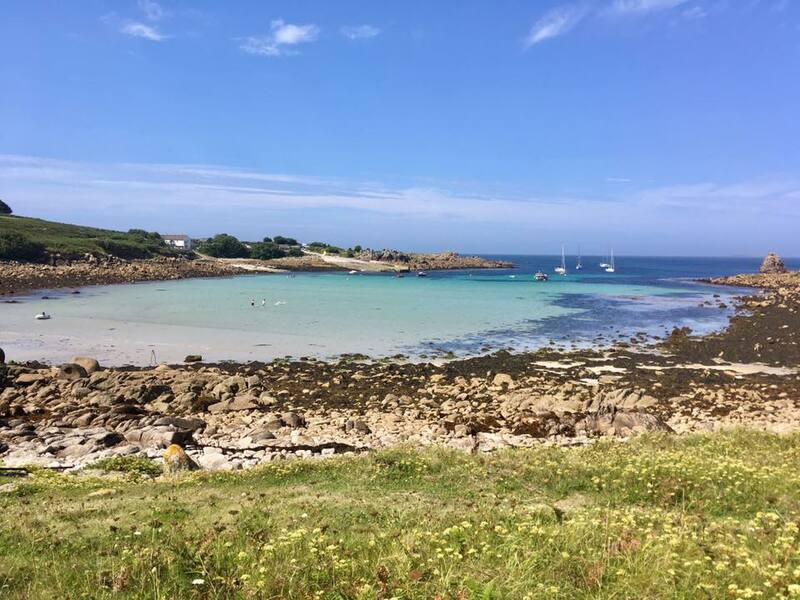 2019 fully inclusive holiday price is £1,485 per person (August) and £1,385 (June). No single room supplement if staying in one of the four single rooms. 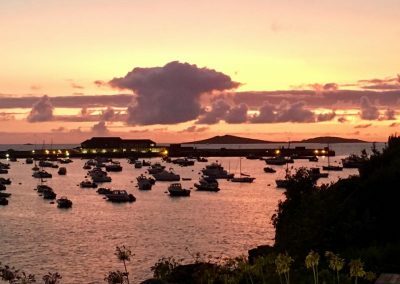 Guide price for the “Scillonian” ferry from Penzance (3 hours), £114 return. There are daily flights from several mainland airports: Exeter, Newquay and Lands End.